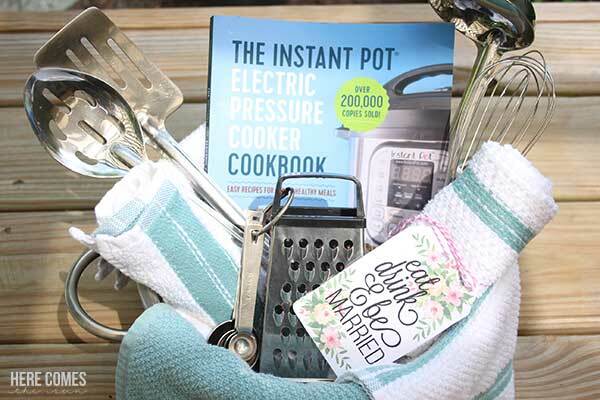 This kitchen themed bridal shower gift is unique and easy to put together. It’s summer and that means it’s wedding season. I know that I am getting old when I don’t have any friends getting married anymore. And I feel even older because not only do I not get to go to weddings anymore, my friends have all had babies too so there are no more baby showers to go too either. But I remember at my wedding shower, the gifts that I loved the most were the gifts that I would be using in my kitchen. Apparently I thought if I had a bunch of kitchen gadgets it would make me all grown up and I would cook some delicious 5 course meal. That was not the case, of course (the meal, not the grown-up part). I’ve never cooked a 5 course meal in my life and never will. 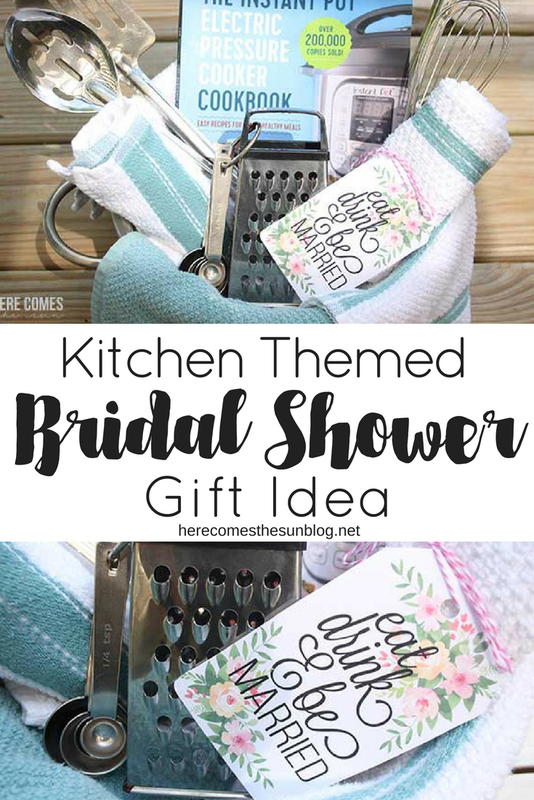 For those of you lucky enough to attend bridal showers this year, here is a great kitchen themed bridal shower gift idea. Slow cooker liners – The slow cooker is everyone’s best friend. But clean up stinks. Slow cooker liners save a lot of time in the kitchen. Wine bottle opener – Leave this out if the bride and groom don’t drink but if they do, this is a must. Favorite cookbook – if you have a favorite cookbook, include a copy. Colander- use a colander as the gift basket. 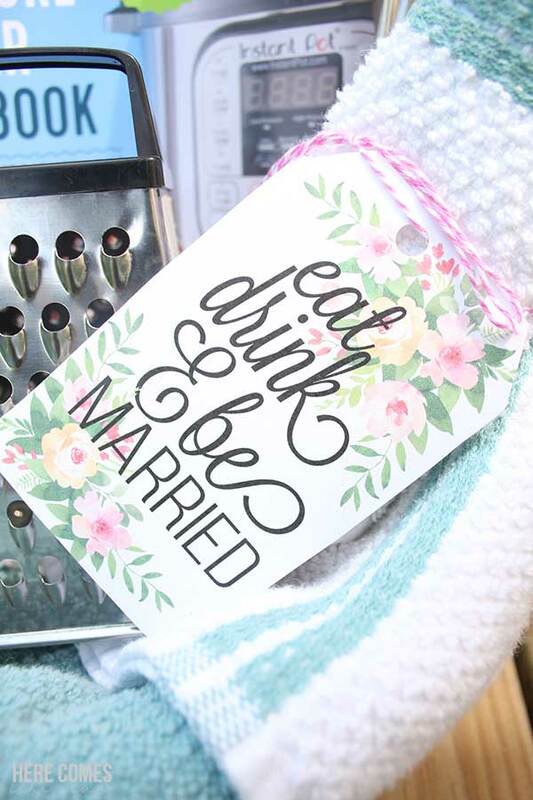 Line it with the dish towels and arrange all items in the pot.To finish off your kitchen themed bridal shower gift, add these adorable printable tags. Please note that these tags are for personal use only. You may not sell or redistribute them.